Antonio Diego Voci (VOH-chee) https://youtu.be/_WUYmz0Jkc0, the youngest of 3 brothers was born Antonio Innocenzo Voci on 10 August 1920 in the mountainous region near Catanzaro, Italy, in the small village of Gasperina, Born to be an artist. “Diego” was the nickname in the artist’s adult life. He shunned his middle name “Innocenzo”. His family called him “Toto” as a child he signed his works VOCI through 1965. Thereafter “Diego”. In this case it was quiet power of women, who make the world hold together. The words of collector Stanley & Sibylle Wilcox follow this Diego image. “The title of this next piece is titled “Bauer bei der Ernte” (Farmers at Harvest). It measures 60 x 80 centimeters without the frame. When we first saw this large oil, my wife Sibylle and I were deeply moved by the labored facial expression of the woman standing in the foreground holding what appears to be a grain basket, and the other woman bending over a large half barrel basket with a cloth grain sack. It depicts honor and respect to hard working women in what I believe to be a childhood memory in a rural setting near to where Diego was born in Gasperina, Calabria, Italy. Visit the Diego Voci Project at www.diegovociproject.com to learn more about Diego. …but this was not important. The compulsion for #art was too strong – the pleasure too rewarding. DIEGO was born to paint. DIEGO sold his first painting at 18. Since then art has been his profession, his life; his complete livelihood. At 19, DIEGO began his studies the #ACADEMY #SANMARCO in #Florence where he was tutored during a 3 year period in the #arts of #painting and #sculpture. MISSING LARGE DIEGO VOCI™ PAINTING…CALLING #SHERLOCK: WHERE IS “JERRY O”? The Diego Voci Project never received an image for the Diego Voci Archive Database. Please contact the diegovociproject@gmail.com with any information on “Jerry O” or the image. As evidence of Diego’s dedication to Helga here is the #Paris registration required for Diego to speak for his new love Helga in the hospital. Notice (in the image below) Diego is still signing Antonio Voci. “Diego” did not show up on documents for another 5 years. 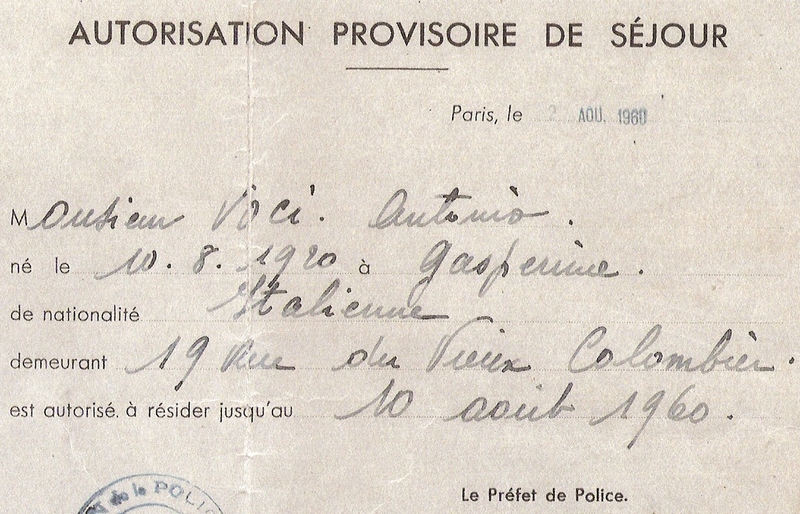 What follows in the next blog is Chapter 3 Paris Summer 1960 to February 1962 by Helga. 95 years ago today in a tiny village of Gasperina, Tailor Guiseppe Antonio Voci’s wife Messina Arcangela gave birth to her second of three sons, Antonio Innocenzo Voci, destined to become the internationally collected artist known as “Diego Voci”. Like his 2 brothers, Diego attended tailoring school in Reggio, learning skills he would apply designing clothes for himself and ladies of his liking, click on link: https://en.wikipedia.org/wiki/Antonio_Diego_Voci#1920.E2.80.931938:_early_life. But art was his true love. “I must to paint”. Diego did not hear his father’s advice “The God of art does not give bread”. Diego would draw incessantly. 4,000 oil painted canvases and thousands of works on paper. Yet in the elite art world Diego Voci remained unknown. That is beginning to change as his exceptional talent is being discovered by a New Generation. Diego Voci Project is searching for and cataloging Diego’s art in the world’s only Diego Voci Archive. Please help us fine them all. Learn more about Diego Voci on YouTube, Google, Facebook, WordPress and Wikipedia. How and when did Antonio Innocenzo Voci (No Diego), born August 10, 1920 in the small village of Gasperina, Italy become known as “Diego”? Friends and family called him “TOTO” in his years of youth (No Diego). 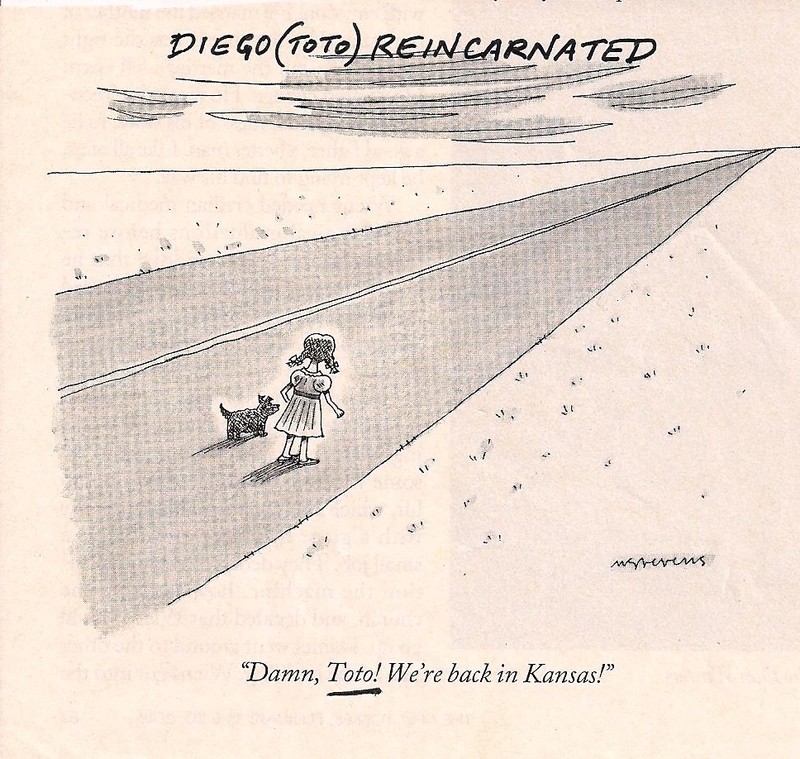 Somewhere from “TOTO” there was a change to “Diego” even though he would not sign his art “Diego” until 1965. Early works of art were signed some form of VOCI. 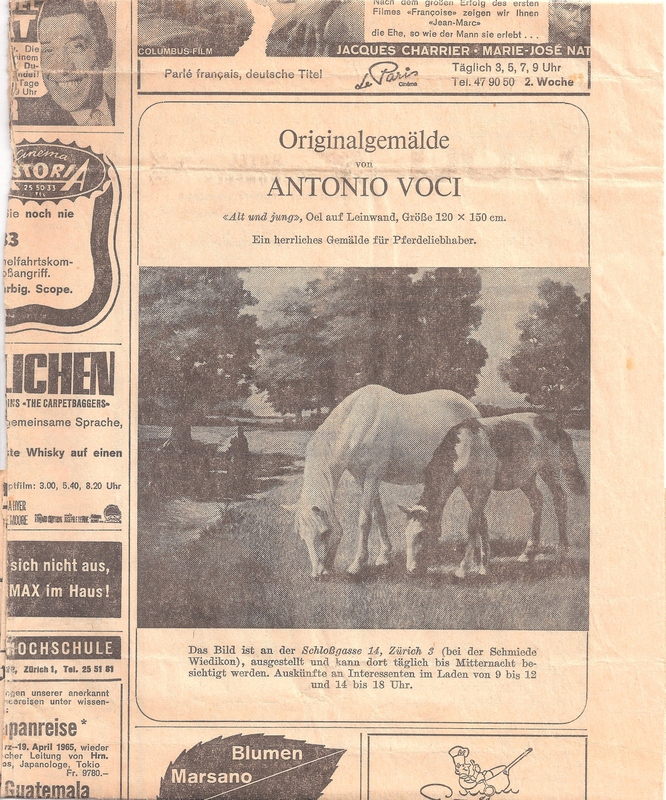 As late as 1965, his works were advertised by Schloßgalerie, #Zürich, as Antonio Voci (Not Diego). He signed “A. Voci”. Diego signed “D. Voci 1957” on the gifts he drew for Tony during the same travels. In 1960 the famous sculptor Gigi #Guadagnucci used the name “Diego” to introduce him to Helga at the Les Deux Magots café in Paris. Helga knew her husband-to-be as “Diego” for their 25 years together. He first signed his work “Diego” in 1965 when Joy Gibson, the Canadian art dealer began representing his work. In 1974, he signed a contract with Cooprider signing “Diego Voci”. 1976 was the first time he offered his name as Antonio “Diego” Voci on an official government document. It was with the town of Taunusstein for a residence permit required to buy the house / studio where Diego & Helga lived together until his death in 1985. Helga maintains the same address. So again, the big question is: how and when did “Toto” become “Diego”? Can you help? Can anyone out there read #Italian? Help us! As DiegoVoci™ #historians we are seeking the truth. Did, or did not, the deceased father of artist DiegoVoci™, Giuseppe Antonio Voci have a brother? 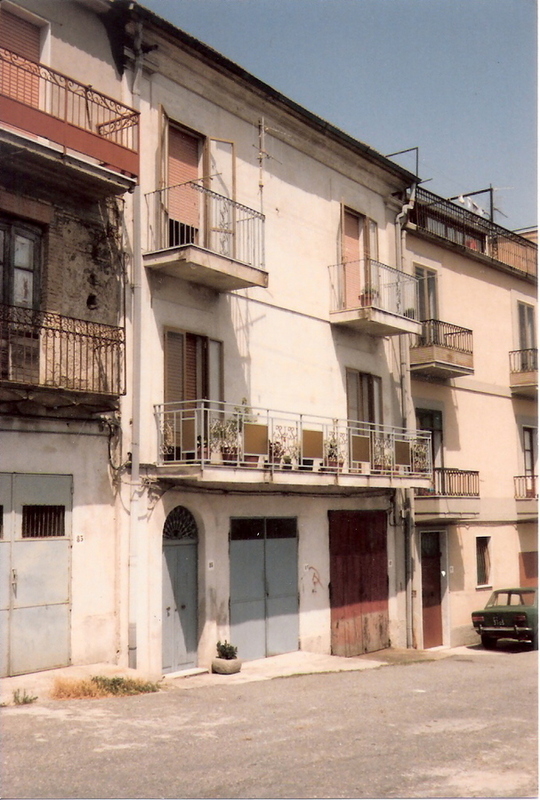 In the little town of Gasperina, Province of #Catanzaro, #Italy, the birthplace of DiegoVoci™ resides an elderly gentleman in his nineties who claims he was the best friend of Diego’s father Giuseppe Antonio Voci and he insists did NOT have a brother! 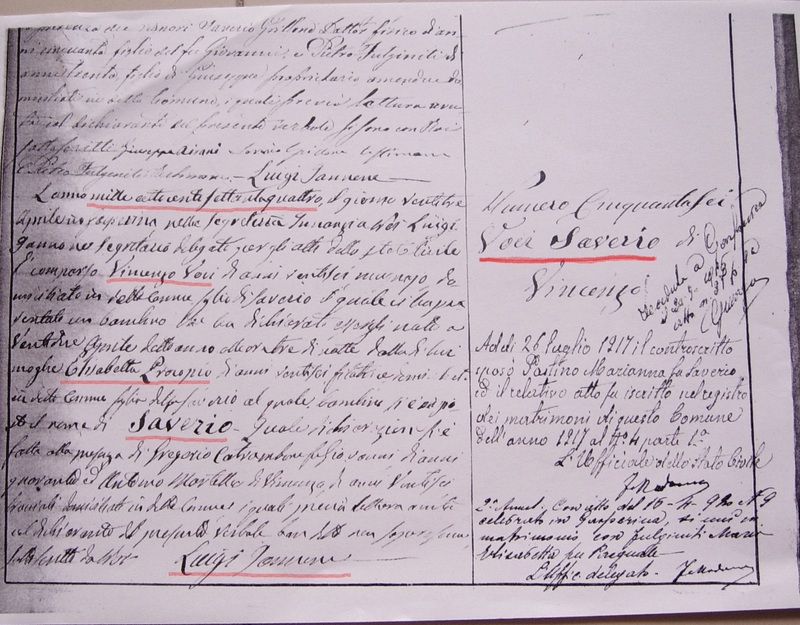 But, what appears to be the images of the official birth records going back 192 years to 1823 from the town’s Registrar of Vital Statistics (“Ufficio dello Stato Civile”) in #Gasperina seem to indicate there was a brother named Saverio. Two sons appear to be born to the same mother and father Vincenzo Voci (1847) and Elisabetta (neé Procopia). One of the sons born 1877 was Giuseppe Antonio (Diego’s dad). The other son, Saverio Voci, was born 3 years earlier to the same mother and father. Therefore the official papers appear that Diego’s father Giuseppe Antonio did have an older brother named Saverio. Help us with the Italian on the Birth Certificates. Is the #Gasperina Registrar’s office in error? Or is the elderly gentleman mistaken? They can’t both be correct. It would be highly unlikely there were two sets of Vincenzo and Elizabetta in the same time period? Giuseppe Antonio Voci was born 1877 to Vincenzo Voci and his wife Elisabetta (neé Procopia). 1a. 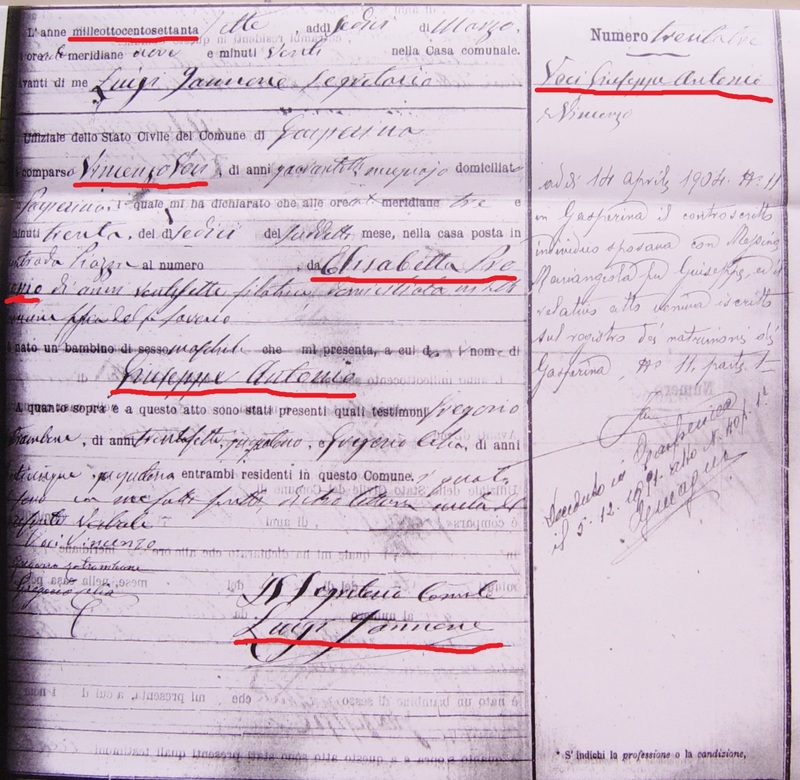 Here is the 1877 signature of the Gasperina official on the birth certificate of Giuseppe Antonio. The questions being asked by members of the Diego side of the Voci family are: Why haven’t we ever heard there was such a brother? And, if he did exist, what happened to him? Is the Saverio birth certificate suspect?